Reproduction by BP Lamp Supply. This Aladdin Lamp Style Model 12 Smoke Bell fits the Aladdin Model 12 Hanging Lamp Frame, as well as most other Aladdin hanging lamp frames. 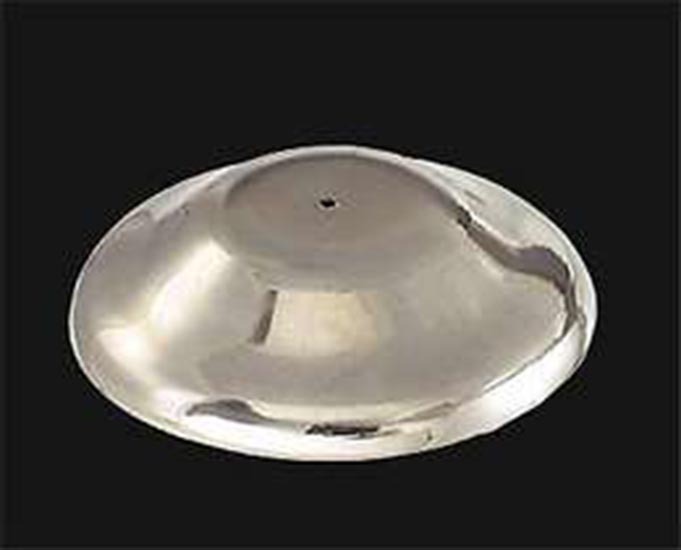 This smoke bell has a 3 1/8" diameter with 3 mm center hole. Solid brass construction. This smoke bell is currently not produced by the Aladdin Mantle Lamp Company. This is a quality reproduction smoke bell.